Lumbini Elite is willing to be a part of digitization in the banking Domain. Today Banking Sector is trying to expand its Services to its customers through various channels and in this attempt,	Lumbini Elite has identified various ideas like KPIs which will help improve customer satisfaction. Lumbini Elite has also identified Mobility solutions which can help customers a better banking experience. Today customers want bank near to them and they want to use Bank more flexibly and not just during office hours. We have the expertise team to implement SAP BOBI 4.X on banking systems, which is helpful to generate the huge number of reports. Our Provision of a reporting platform including but not limited to dash-boards, performance and adhoc reports to support business decision making. 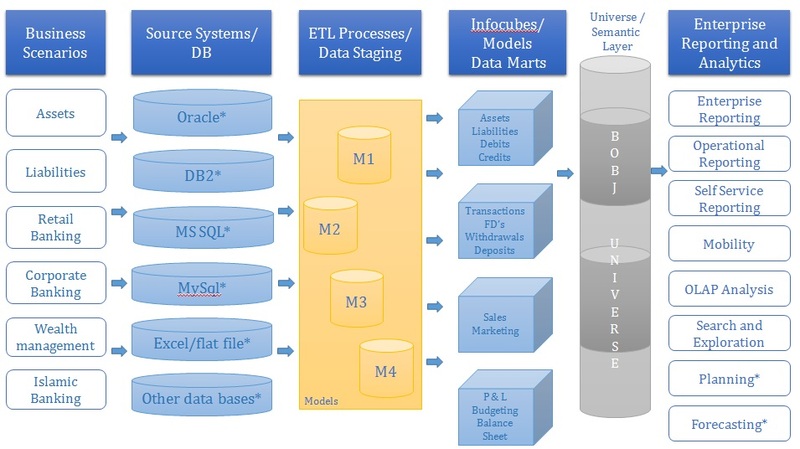 The efficient process for refreshing data extracted from source systems and Standard Banking Data Model that amalgamates data from discussed source systems to create a "Single Source of Truth" and is stable, flexible and scalable to easily accommodate modifications. 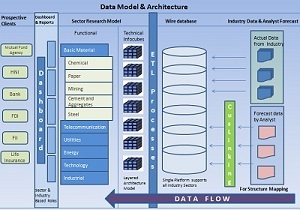 Our solution data model shall consist of Banking and finance logical DataMart's like Common/Master tables, Assets, Liabilities (with Transactions), Corporate Banking, Wealth Management, Islamic Banking and dashboard to provide high level of self-service capability to the business users, with minimal intervention of BANK's IT / MI resources Using pre-defined banking reports as base, carrying out requirement gathering, gap analysis and creating final report mock-up and Functional Specification Document (FSD). 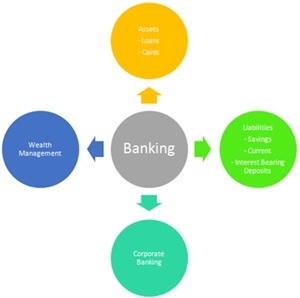 We have a catalogue of 500+ reports available specifically for the Banking and Finance domain spread across multiple modules of banking and designed for emerging market like Middle-east. Scenario - Investment banks need apt and tailor-made Dashboard solutions to support its daily business. Clients need interactive and real time solutions.